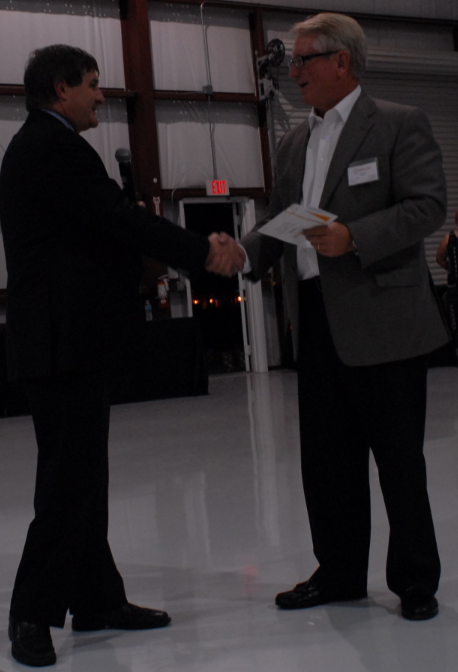 Alastair Jenkins, President & CEO of GeoDigital International handed Riegl USA’s, James Van Rens, President a check for two Riegl Airborne Systems bringing their Fleet of Riegl Systems to Ten. “We are pleased to continue our support to an innovative company like GeoDigital, a relationship we have built over many years. With this purchase GeoDigital will have acquired a total of ten Riegl-based LiDAR data acquisition systems from Riegl and we look forward to building our relationship into the future” stated Jim Van Rens. “We have been actively listening to the stakeholders in the utility sector, including regulators, and have specifically worked with companies such as Riegl USA to build systems and products to address the challenges faced by the industry.” said Alastair Jenkins. GeoDigital International provides the most advanced vegetation LiDAR and airborne asset mapping solutions in the industry. GeoDigital’s highly trained professionals have mapped more than 300,000 line miles and over 850,000 structures worldwide. GeoDigital uses time-tested expertise and technology proven to reduce client costs while providing critical data for vegetation clearance and maintenance reports, inventory analysis, regulatory compliance, and security issues. GeoDigital provides cutting-edge imagery and LiDAR through the use of a patented, stabilized data acquisition unit and industry-leading software. The LiDAR data and digital photos (oblique and ortho) are geo-referenced for high accuracy spatial positioning of features and assets. The resulting data can be integrated into an existing GIS or mapping program. The LiDAR data is survey accurate and can be used for engineering applications such a line re-rating or new construction. GeoDigital provides on-line access to the digital photos and LiDAR information so vegetation managers can quickly identify and rectify maintenance issues and demonstrate compliance with regulatory requirements.